The 2015 UGA Football Schedule. was officially announced today, and it features a visit from the Alabama Crimson Tide on Oct. 3. 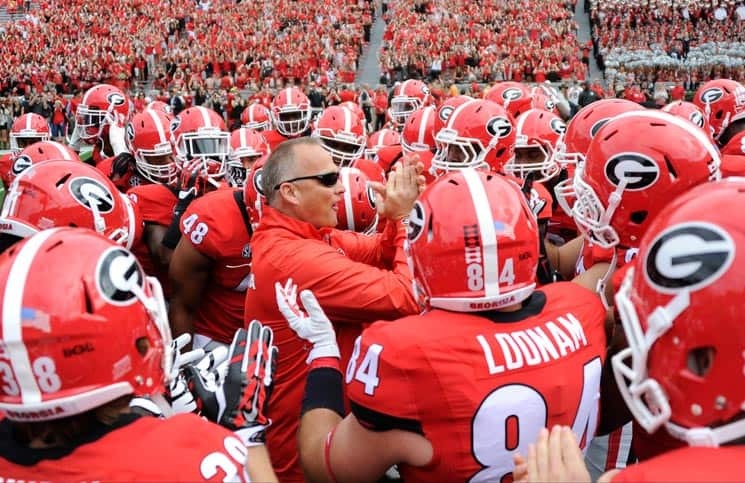 Georgia opens the 2015 season at home against the ULM Warhawks on Sept. 5. Their first SEC contest is Sept. 12 at Vanderbilt. South Carolina visits Sanford Stadium on Sept. 19 in Georgia’s first home conference game of the season. Other SEC home games include Missouri on Oct. 17 and Kentucky on Nov. 7. Road SEC games in 2015 include Vanderbilt (Sept. 12), Tennessee (Oct. 10), and Auburn (Nov. 14), plus the annual battle with Florida in Jacksonville. The Cocktail Party in 2015 falls on Halloween. Georgia’s remaining non-conference games include Southern (Sept. 26), Georgia Southern (Nov. 21), and at Georgia Tech (Nov 28). The 2015 SEC Championship Game will be played on Saturday, Dec. 5 at the Georgia Dome in Atlanta.